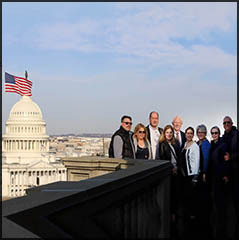 Northland Leaders in Washington, D.C.
friendly candidates who are representing the best interest of credit union members. Group meetings were held with multiple senators and political leaders. One big topic that was discussed was that of cyber security. Dialogs were exchanged about the importance of setting national standards to help protect members information against potential threats. Through the month of March, we are accepting donations to Children’s Miracle Network (CMN). Each year more than ten million kids enter a children’s hospital like Hurley Hospital in Flint. CMN fundraising programs support the nonprofit’s mission to save and improve the lives of as many children as possible. 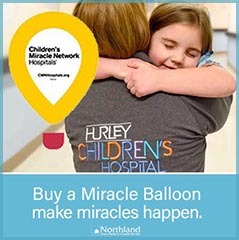 Since 1983, CMN Hospitals and supporters have raised more than five-billion dollars, most of it one dollar at a time through Miracle Balloon sales. Stop by one of our branches to buy a balloon. Your donation matters and it stays local to help kids in our state. Together we can make miracles happen. Sadly, cancer touches all of our lives. 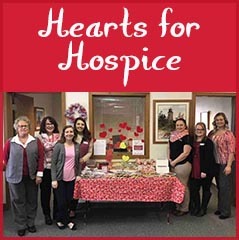 During the month of February, our branches held a bake sale and collected money to benefit the MidMichigan Home Hospice Care. MidMichigan Home Hospice Care supports terminally ill individuals by providing comfort and care during the final months of life. January 9th is Law Enforcement Appreciation Day. 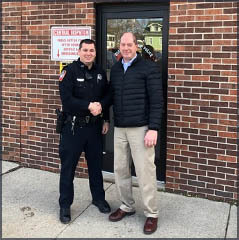 Northland appreciates our local police and their selfless efforts to keep people safe. To show our gratitude NAFCU employees delivered donuts, beverages, and lunch to several departments near our branches. Thank you, to all our local law enforcement officers for your sacrifice and service to our communities. NAFCU team members recently participated in a “In My Feelings” KeKe video challenge to benefit the Children’s Miracle Network of hospitals. 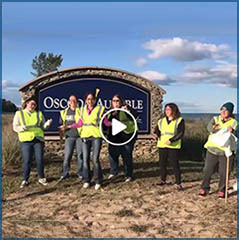 The Michigan Credit Union League (MCUL) and Affiliates put forth this challenge to all Michigan Credit Unions, and will donate $500.00 for each video produced. The finished video can be viewed on Northland’s Facebook page.